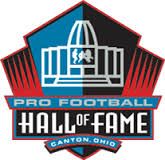 The 2015 National Football League Hall of Fame induction class was announced the night before Super Bowl XLIX. Those inducted included modern day players Jerome Bettis, Junior Seau, Tim Brown, Charles Haley, and Will Shields. Longtime NFL contributors Ron Wolf and Bill Polian were also selected in addition to former Viking center Mick Tingelhoff who was nominated by the senior committee in August. I acknowledge that having to choose individuals into the NFL Hall of Fame is not an easy task. This year’s finalists included 15 players, two contributors, and one senior finalist in Tingelhoff. All players must receive 80% of the votes for induction. The late Junior Seau and former Chiefs’ offensive guard Will Shields were slam dunk selections. Seau played 20 NFL seasons earning All-Pro six times and was a 12-time Pro Bowl selection. Shields made an amazing 12 Pro Bowls in 14 seasons. Bettis, Brown, and Haley are all worthy of the Hall, but I believe others would have been better selections this year. 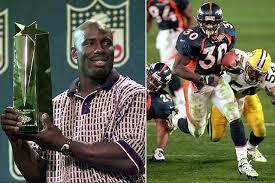 While Bettis enjoyed a productive 13 year career as a six-time Pro Bowler and two-time All-Pro scoring 94 touchdowns and rushing for 13,662 yards, former Bronco running back Terrell Davis was a stronger choice. Davis came out of nowhere as a sixth round draft choice out of Long Beach State to earn three Pro Bowl and three All-Pro selections in his seven NFL seasons. He rushed for 60 touchdowns and over 7,600 yards including being only one of four NFL players to ever rush for over 2,000 yards. 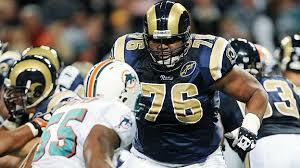 I believe the committee penalized Davis for only playing seven seasons due to injury. Brown, a former Heisman trophy winner out of Notre Dame, made nine Pro Bowls and was voted All-Pro twice in his17 seasons. He registered 1,094 receptions for 14,934 yards and 100 touchdowns in his career. However, Marvin Harrison was a stronger choice this year. Harrison played 13 seasons for the Indianapolis Colts earning eight Pro Bowl nods and six All-Pro honors as he caught 1,102 balls for 14,580 yards and 128 touchdowns. I believe the committee was influenced by shooting incidents near his bar in Philadelphia. Harrison was never charged in these shooting incidents. As a Cowboys’ fan, I love the selection of Charles Haley. His fiery temperament is exactly what a young Cowboys’ team needed and he was on all three Dallas Super Bowl winning teams in the 90’s. In his 12 seasons, Haley made the Pro Bowl five teams while earning two All-Pro nods. He won two more Super Bowls with San Francisco and holds the NFL record for most Super Bowl victories by a player with five. Yet, former Rams offensive tackle Orlando Pace and his Rams’ teammate, quarterback Kurt Warner, both deserved selection to the NFL Hall of Fame before Haley. Pace was the number one overall selection out of Ohio St. in 1997 earning seven Pro Bowl selections and five All-Pro honors in his 13 seasons. He is the reason college football analysts like to take note of pancake blocks by offensive lineman as the term was made famous by Pace’s blocking his opponents so hard they landed on their backs. Warner was undrafted in 1994, but tried out for the Green Bay Packers although he was cut. He stocked shelves at a grocery store for a few years before making a mark in the Arena Football League. 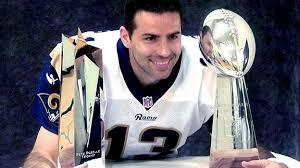 Warner was the third string quarterback for the Rams in 1998. In 1999, Warner was the backup to Trent Green, but became the starter before the season after Green tore his ACL. Warner not only won the Super Bowl in 1999, but he was only the seventh player to be named Super Bowl MVP and NFL MVP in the same season. He was a four time Pro Bowler and two-time All-Pro during his 12 seasons. Warner also was voted league MVP in 2001. There is no doubt that Warner, Harrison, and Pace will enter the NFL Hall of Fame in the next few years. Their omission shows the quality of athletes who have entertained us on the gridiron. The short career of Davis could be costly to his quest to be inducted although it should not matter because he was extremely productive in his seven seasons in the league. 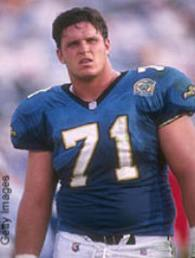 Former Jaguar’s offensive lineman Tony Boselli is another extremely productive player who only played seven seasons due to injury. Boselli has yet to receive enough votes to be one of the top 15 finalists to be voted on for induction into the Hall. Production should always take precedence over longevity.